Some people are terrified of leaving their home unwatched when they go away on vacation because they always stress over if it’ll be OK without them physically there for a couple of days. Perhaps you have the opposite problem – you love spending time at your hunting camp or vacation home, but are always worried that someone might break in after you leave. Fortunately, today’s technology has a solution for that. Leading Edge Security and Home Technology uses remote home alarm monitoring systems – available both in wired or cellular configurations – to keep watch on your home or camp. Say you have a small hunting camp in the wilderness or a vacation home that you only spend a few weeks at each year. Wouldn’t it be nice to know it’s being monitored when you’re not able to physically be there? By the same token, while you’re away and enjoying time at your vacation home or wilderness camp, you can have Leading Edge monitor your primary home while away – it works well both ways! 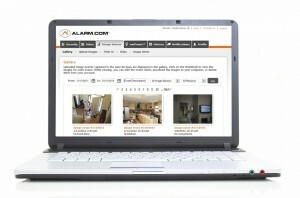 Remote monitoring services provide you with peace of mind. At Leading Edge, we use Cleveland-based Quick Response as our monitoring provider, keeping watch over properties 24/7. If anything out of the ordinary occurs, the system communicates with an alarm receiver which then alerts the monitoring service of an issue. The operator instantly sees your file and calls the primary contact number to alert you that the alarm went off. If you’re not available at the time, the alarm operator calls your local emergency dispatcher to have the proper authorities visit your property and investigate the problem. As much as we’d all like to be able to be everywhere we want to be at all times, we cannot. Thankfully, Leading Edge is able to help keep an eye on things even when you can’t be there, whether it’s your primary home, a vacation home or a camp in the wilderness. With a home monitoring system, you can rest easy with the peace of mind that if anything goes wrong, your alarm will go off and ensure that any problem gets checked by proper authorities or emergency responders. To find out more about our home alarm monitoring services and installation, call Leading Edge Security today at 812-325-6286.